When on vacation to Florida, people favor spending time mostly in Orlando and West Palm Beach as well. Also, they use to go from Orlando to West Palm beach and vice versa from West palm beach to Orlando by using a shuttle service because it is the most inexpensive way of transportation within the state. Not only this but also multiple residents use shuttle service for their transfers from Orlando to West Palm beach and furthermore. 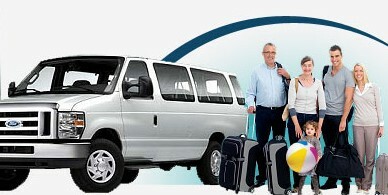 In this blog, you will study how to travel from Orlando to West Palm Beach on low prices. Here are some basic suggestions on how you can make your Orlando, West Palm Beach airport or Hollywood go on a budget. The places where you can get the shuttle service are by Orlando airport and Orlando International drive. These are the most accessible locations for visitors and tourists coming to Florida from all over the world. Get a Free Quote Today! The most beneficial thing that makes your trip from Orlando to West Palm Beach on a budget is the shuttle fare of Go Florida Shuttle, and it is way cheaper than hiring a cab/taxi service from Orlando to West Palm Beach. It is way much reasonable than the price of using a private transfer from Orlando to West Palm Beach. Most likely, the cost of a taxi or private transportation will be around $400 – $450, while the Orlando to West Palm Beach shuttle service is between $55 to $60. To the traveler’s ease of access, there are different central station locations they can select to pick up when using the shuttle service from Orlando to West Palm Beach. The sites are The WAWA Gas Station very close to the Orlando International Airport (MCO) and the Orlando International Drive by the Convention Center. There are different departure times when using a shuttle service from Orlando to West Palm Beach because of the cause that most of the visitors/tourists or locals prefer to depart from Orlando going to West Palm Beach or any other cities in the state of Florida in different times during the day. The shuttle schedules are Morning time 6:00 AM and afternoon timing is 1:00 PM. One of the most using Orlando to West Palm Beach shuttle service is that it gives an opportunity to provide pick up/drop off services in various cities along the way when going from Orlando to West Palm Beach through east coast and west coast. Even though, passengers can get to West Palm Beach on time.